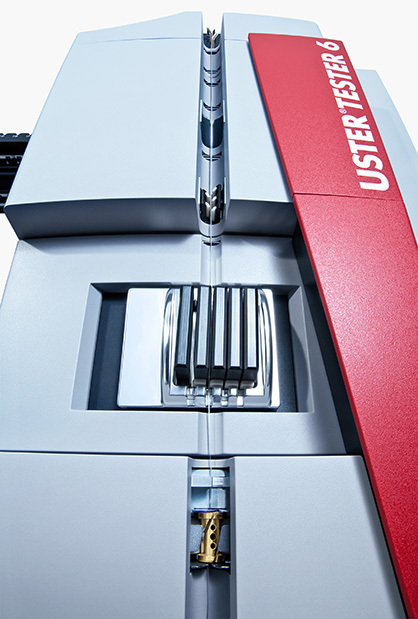 The USTER® TESTER 6-C800 is ready for the most demanding technical textiles applications. The latest USTER® TESTER for filament yarn will be presented at Techtextil 2017 in Frankfurt, Germany, the leading global showcase for technical textiles. The USTER display (Hall 6.1, booth B65) will present the production optimization and quality assurance benefits to show visitors. The amazing diversity of technical textiles applications is matched by the wide variety of quality characteristics needed in the raw material used – so filament yarn producers know they must work to the most stringent specifications and standards. 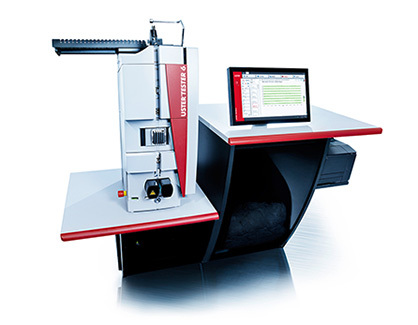 Quality failings, especially in the critical parameter of yarn evenness, can be expensive, but the USTER® TESTER 6-C800 provides fast, accurate testing to the tightest tolerances, protecting filament producers against customer complaints and claims. Raw materials for technical textiles cover a wide range of end-uses and performance requirements. Viscose fibers, for instance, are found in lightweight blouses as well as in wire cording and high-speed car tires. Polyester, common in low-price clothing, is also transformed in special high-tech versions, for sophisticated sportswear and outdoor clothing. Countless other examples of technical applications for filament yarns span sectors such as medical, industrial, transport, engineering and protective clothing. Despite this variety of products, there is one fundamental requirement which is common to all: the absolute need for yarn evenness, measured to close tolerances, to ensure that the functional and aesthetic properties of the finished article achieve the high quality standards that customers demand. Efficient testing routines and the right testing equipment are the key to avoiding customer dissatisfaction, quality claims and the loss of future business for filament producers. Evenness testing has to combine reliability, accuracy and speed. The USTER® TESTER 6-C800 is specially designed for filament yarn testing, to meet these criteria perfectly. At its heart is the new Capacitive Sensor, providing more accurate and reliable test results than ever before. Typically, filament yarns show a CVm value around 1, so that even small deviations in evenness are likely to cause noticeable defects in the fabric. The increasing complexity of applications and performance standards – with fabrics needing to protect against water, wind, cold, heat, and even bullets – means that evenness is an absolute requirement. For this vital parameter, spinners have for decades been depending on the USTER CVm value, now recognized as the defining global standard for evenness. The USTER® TESTER 6-C800 combines reliability with top speed operation. All models operate at the test speed of 800 m/min. Running on the automatic setting, the high sample throughput rate gives even better detection of quality exceptions. The result is lower labor costs and improved control of quality for the business. The latest USTER® TESTER for filament yarn will be presented at Techtextil 2017 in Frankfurt, Germany, the leading global showcase for technical textiles. The USTER display (Hall 6.1, booth B65) will present the production optimization and quality assurance benefits to show visitors. As well as the advantages already described, the USTER® TESTER 6-C800 offers three new unique features to help yarn producers increase efficiency and improve quality. The measurement of interminglings is an innovation saving time and preventing variations in subsequent fabric appearance. An automatic twist scan facility has been developed, assist filament quality monitoring by making twister settings easier. And the Knowledge Based System (KBS) quickly traces the cause of a quality problem on the spinning machine, with no need for extra settings or input from the machine supplier, via a single click on the spectrogram display.